The Engineering Vibration Toolbox is a set of over 35 educational programs and associated files by Joseph C. Slater (Python version with Raphael Timbó). It can be run on any platform supported by Matlab Octave (Mac, Windows, VMS, Unix, Cygwin), or Python. Also included are help files, examples, and files containing raw experimental data. The codes include single degree of freedom response, response spectrum, finite elements, numerical integration, modal analysis and phase plane analysis. It was originally designed for use with the text “Engineering Vibration” by Prof. Daniel J. Inman (Prentice Hall) but has expanded since then. I highly recommend use of Octave or Python if possible, as they are free. If you know Matlab, you already know most of Octave. Most students will hardly know the difference, except that it’s free! The Octavized toolbox can be found here, but is more easily installed using the Octave. Further, the licensing is less restrictive (no charge for professional use!). The entire archive can be downloaded as a zip file. Please refer to the Octave web site for details on obtaining and installing Octave. Python is not much different in style and capability, especially when using Spyder. It’s a much more capable language for general computing and is becoming the de facto introductory programming language in engineering and computer science and is one of the most in-demand languages. That means learning not only develops your computational skills, but also develops your broader programming toolbox. The Python version is also the most quickly developing version of the Vibration Toolbox. If you are new to vibration, you can learn about what vibration is and why it’s important at the American Institute of Aeronautics and Astronautics Structural Dynamics Technical Committee Exploring Structural Dynamics website. Typing help vtb#, where # is a number, will provide a table of contents for the files related to chapter ‘?’. Typing help codename will provide help on the particular code. Note that the filename is codename.m. Engineering Vibration Toolbox commands can be run by typing them with the necessary arguments just as any other Octave/Matlab commands/functions. For instance, vtb1_1 can be run by typing vtb1_1(1,.1,1,1,0,10). Many functions have multiple forms of input. The help for each function shows this flexibility. Support for the Engineering Vibration Toolbox for Octave has come from a number of sources. First and foremost, Daniel J. Inman, who initially tasked me and Donald J. Leo to write version 3.0 of the software for his text Engineering Vibration by Dr. Daniel J. Inman (Prentice Hall, 1994). I also thank the Department of Mechanical and Materials Engineering and the College of Engineering and Computer Science at Wright State University for providing the computer resources for developing the Matlab 4 version of the software. Perhaps the people who have given the most are my students who painfully experienced every piece of beta code, often at the least opportune times. Thanks is also given to Dr. Maurice Petyt and Robert C. Chiroux For their patience in testing numerous 4.0 beta versions of this software. Finally, John W. Eaton and others for writing/coordinating/developing/supporting Octave. Please see the Octave website for more information on Octave and how you can support its development. The Engineering Vibration Toolbox for Octave and Python is licensed under GPLv3. For professional use on Matlab, users should contact the Engineering Vibration Toolbox author directly for licensing. 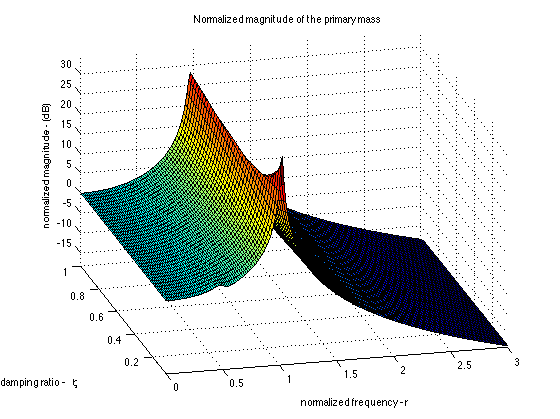 The Engineering Vibration Toolbox for Matlab (not the Octave version, or any version that runs on a non-proprietary platform) is free only to owners of Engineering Vibration, Daniel J. Inman. Please contact me regarding usage for commercial purposes. This site is provided to distribute updates to the Engineering Vibration Toolbox. Joseph C. Slater is the copyright holder of the Engineering Vibration Toolbox. Neither the author, Prentice Hall, nor Wright State University make any warranty with regard to merchantability or fitness for any given purpose with regard to the software. All rights are retained. No permission is given to anyone other than myself, the MathWorks and Prentice Hall to distribute this software in any manner whatsoever. Instructors may distribute this software to students registered for a course using the text Engineering Vibration, and/or alternatively may install the software on networked computers. The only thing I ask is that Engineering Vibration be the adopted textbook for use where the software is installed. Please send questions or comments about this page to Joseph C. Slater. Matlab is a registered trademark of the MathWorks, Inc. Mac(intosh) is a registered trademark of Apple Computer, Inc. PostScript is a registered trademark of Adobe Systems, Inc. Windows is a registered trademark of Microsoft Corp. Unix is a registered trademark of AT&T.